Want to learn the basics of DJing, or expand your knowledge? I offer DJ lessons using Serato, Traktor, Virtual DJ, or any other platform you choose. All real/manual mixing and phrasing methods taught. No automatic mixing features from programs are used in my lessons. 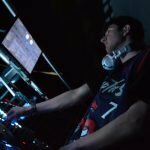 I am the only DJ teacher in the GTA that GUARANTEE’S you will be able to manually put a phrased mix together fully on your own by the end of your first lesson, or 100% of your money back. Don’t have your own equipment? No problem! I can supply all the needed equipment! -FREE email support; any further questions or concerns you may have after your lesson will be answered the same day that you email me, GUARANTEED! Lessons can be done mobile-based, meaning I’ll come to your location to teach on your equipment, or you can visit the Mississauga studio location if you don’t have your own equipment. Studio located by QEW and Southdown Road. Classes are by appointment only to fit your availability!